Yeah, it’s true! Orange Is The New Black. 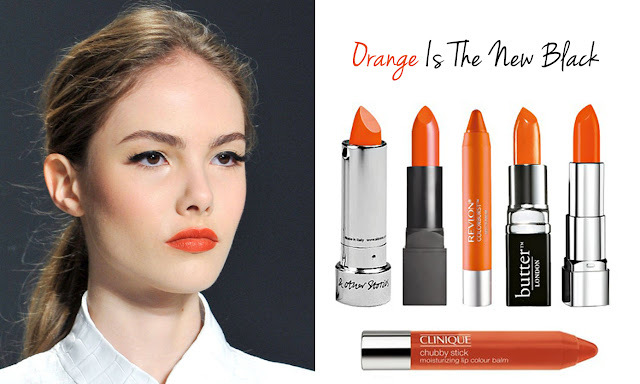 You won’t believe that we have witnessed so many celebs on the runways wearing red-orange hues of lipstick. Now, this latest trend has made the headway to the Red Carpet. So, get ready to explore all the new shades of tangerine. Kareena Kapoor Khan: Undoubtedly, Kareena Kapoor Khan made it clear that the orange lipcolor trend is not going away. Miranda Kerr: Miranda Kerr's orange lipstick and apricot cheeks were a surprisingly gorgeous pairing. Don’t you think so? Deepika Padukone: No two things go together better than orange lipstick and earrings. Just take Dipika Padukone example. Emma Watson: Emma grabbed the eyeballs with her orange lipstick and twisted hair into a low bun. Jaime King: Jaime looking gorgeous with her thick liner and orange lips at the launch party for Hunters Alley. Candice Swanepoel: Candice perfectly paired her voluminous hairstyle with a bright orange lipstick. Lauren Conrad: Well, this is quite official look. Lauren styled straight for the Malibu Island Spiced event. Taylor Schilling: Taylor Schilling was spotted at Webby Award in an orange lipstick hue. Camilla Belle: At the Oscar Party, Camilla perfectly balanced her brows with a bright shade of tangerine. Emma Stone: Who says blonde can't wear orange lipcolor? Coco Rocha: The dramatic eyeliner made Coco Rocha lip shine at the amfAR Cinema Against AIDS. Hilary Duff: Hilary Duff pulled her curls up into a loose topknot to let her electric orange lip shine.